Tourism departments recognize the interest. Writing for Travel Market Report, Anne Dimon notes the City of San Miguel in Guanajuato, Mexico “launched San Miguel Wellness Week focusing on the region’s thermal waters plus celebrating both Global Wellness Day and International Yoga Day.” Others undertaking similar efforts include Costa Rica Tourism Board, Aruba Tourism Authority and Saint Lucia Tourist Board. Flying isn’t something travelers usually connect to health and wellness, and airlines and airports are working hard to change that. Meditation and yoga have made their way into the skies. Headspace, a meditation app, is available on United Airlines, JetBlue and Swiss Air flights (not all flights or classes), and British Airways in-flight entertainment includes “The Well Being Show.” Passengers on Cathay Pacific can practice in their seats with the “Travel Well With Yoga” video series, available in multiple languages. XpresSpa, Be Relax Spa and Spa Here are three companies adding more spas to airports around the world. Spa Here’s new spa at Dallas/Forth Worth International Airport is “based on a privacy cocoon mini-spa.” Delta Airlines’ Asanda Spa Lounges give guests in three US airports an opportunity to participate in guided meditation through Deepak Chopra’s “Dream Weaver”. Cristina Alcivar writes about the “rise of napping suites,” citing a “sleep capsule warren” opened by izZzleep in Mexico City Airport last year, and the acquisition by NapCity Americas of the US rights to Napcabs, a German-based sleep pod company that operates at Munich airport. Today’s hotel and resort wellness offerings are more than a fitness center with a few pieces of equipment. Along with renting workout gear, Westin Hotels & Resorts guests can RunWESTIN®, three- and five-mile routes that guests run on their own or, at select locations, join a run led by a Run Concierge. Westin also offers foods to enhance sleep, essential oils to calm guests and the advice of Westin Well-being Experts. DELOS has created Stay Well, which includes Stay Well rooms and a mobile app with a tool to combat jet lag. Rooms are available in at several Las Vegas properties and six US Marriott properties. Features include dawn simulation lighting, shower infusers to reduce chlorine, aromatherapy and air purification systems. Cruise lines are addressing wellness through healthier menus, expanded spa options and even amenities like salt rooms found on the Scenic river cruise line. MSC Cruises‘ has a host of wellness-themed cruises and programs. Last year, MSC hosted a Caribbean cruise, “Rejuvenation Vacation at Sea,” in partnership with Weight Watchers, and this year launched “Wellness Experience by Technogym,” which combines fitness classes, special menus, excursions and stateroom amenities. Travelers have much to choose from when looking for tours and activities that will support health, wellness and mindfulness. 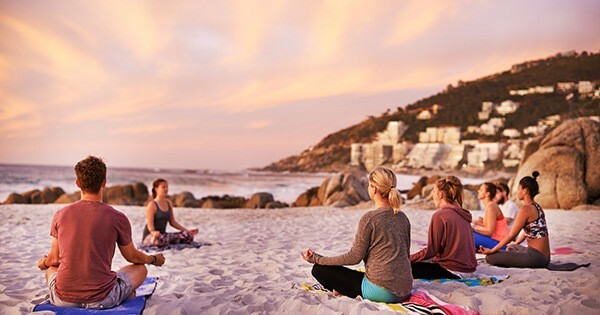 Whether it’s called mindfulness travel or wellness travel, all sectors of travel are incorporating healthier, relaxing and rejuvenating options into their offerings. Increasing interest and sustained growth across the globe is making wellness travel more than a fad and more of a commonplace. With WEX since 2016, David looks after our travel customers. David joined WEX as a Solutions Engineer, having previously held accounting and system development roles at a travel customer of WEX – this experience provides David with a strong technical understanding of our virtual payments solution. 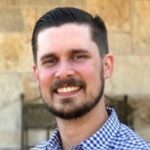 David holds a Bachelor of Science degree from The University of Texas at Arlington and currently lives in Austin, TX.